The Audi AI traffic jam pilot is the world’s first system that enables SAE level 3 conditional automation. Audi presents the innovation in the new A8, which handles the task of driving in traffic jam or slow-moving highway traffic up to 60 km/h (37.3 mph). With traffic jam pilot engaged, drivers no longer need to continuously monitor the vehicle and the road. They must merely remain alert and capable of taking over the task of driving when the system prompts them to do so. 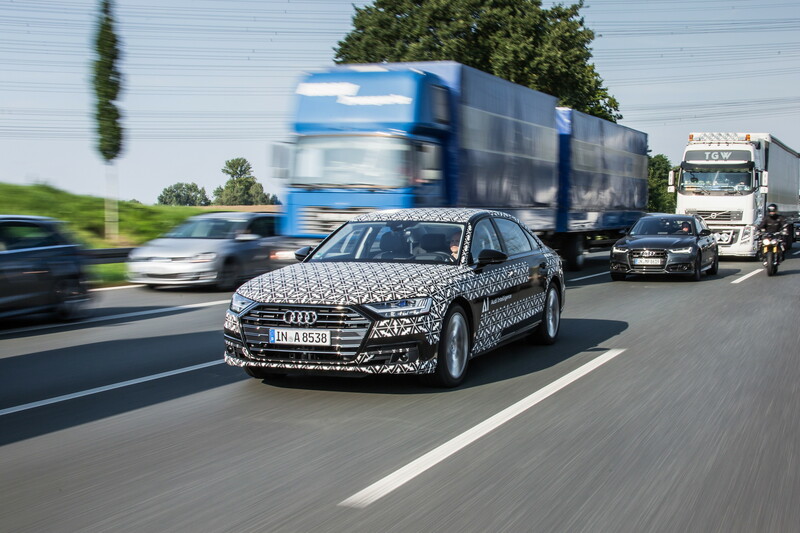 National and international journalists are currently experiencing the Audi Audi AI traffic jam pilot in real conditions in and around Düsseldorf – one of Germany’s highly congested regions. If the Audi A8 is traveling in nose-to-tail traffic at no more than 60 km/h (37.7 mph), the Audi AI traffic jam pilot takes over the driving task on highways and multi-lane motorways with a physical barrier separating the two directions of traffic. The system handles starting from a stop, accelerating, steering and braking in its lane. It can also handle demanding situations such as vehicles cutting in closely in front. The control signals that the Audi AI traffic jam pilot requires for conditional automated driving are obtained from the central driver assistance controller and from a redundant data fusion in the radar control unit. If the driver has activated the traffic jam pilot at the AI button on the center console, they can take their foot off the accelerator and their hands off the steering wheel. They must remain alert and capable of taking over the task of driving when the system prompts them to do so. Unlike at level 2, they no longer have to continuously monitor the car and can focus on another activity supported by the on-board infotainment system, depending on the legal situation in the respective country. The Audi virtual cockpit shows a stylized view of the movement and surroundings of the new A8 now. While traffic jam pilot is activated, a camera checks whether the driver is prepared to resume the task of steering if needed. It analyzes the position and movement of the head and eyes in order to generate anonymized data. If a driver’s eyes remain closed for an extended period, for example, the system prompts the driver to resume the driving task. The prompt to take over is given in three phases – ranging from visual and acoustic warnings all the way to an emergency brake application. If the speed exceeds 60 km/h (37.3 mph) or the traffic begins to clear, the traffic jam pilot informs drivers they need resume driving themselves. If the driver ignores this prompt and the subsequent warnings, the A8 is braked until it stops completely in its lane. 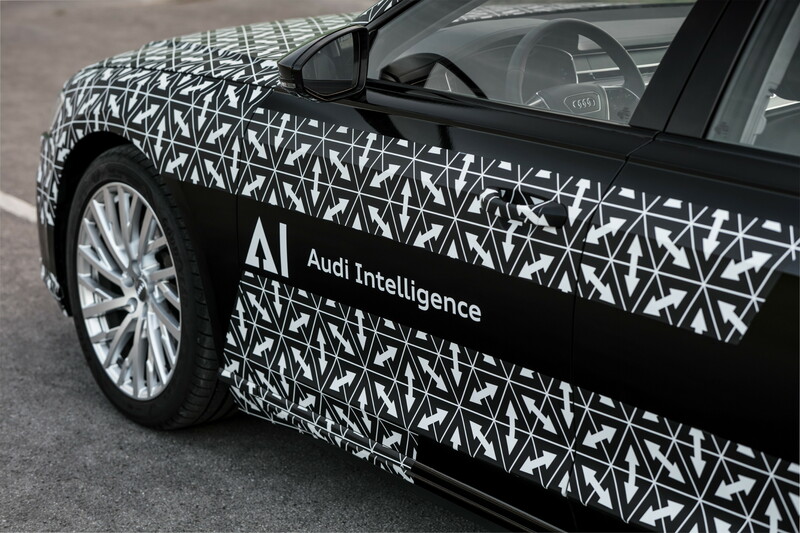 Introduction of the Audi AI traffic jam pilot requires both clarity regarding the legal parameters for each country and specific adaptation and testing of the system. Moreover, varying worldwide homologation procedures and their deadlines must be observed. 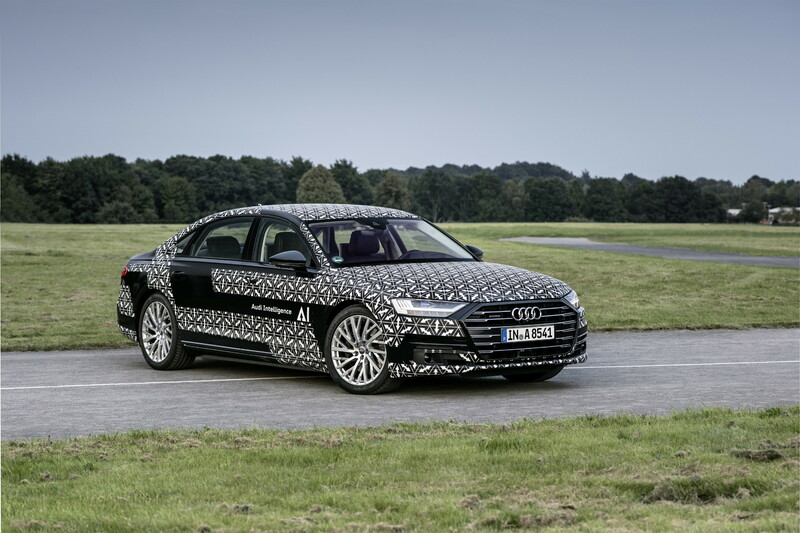 For these reasons, Audi will initiate series production of the traffic jam pilot in the new A8 incrementally, depending on the legal situation in the respective country. Copyright © 2019 My Drives Online.